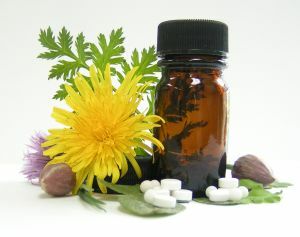 Homoeopathy is one of the most successful forms of holistic medicine to arise in Europe. Its reputation was founded on spectacular successes in the treatment of typhus and cholera during the epidemics of the nineteenth century. The British medical profession felt so threatened as to try and ban it by law, failing only in the face of impressive Government evidence of its benefits. It is still available under the NHS, despite the ill-favour of the established profession. Hahnemann, the founder of homoeopathy, evidently succeeded in separating the vital force or livingness of material from its substance, and discovered that the power of this living force was directly opposite to the physical properties of the substance itself. He did this at the dawn of modern chemistry and physics, when scientists were spellbound by the properties of material things; his suggestions cut right across the mood of the day. Then and since, to ask a scientist to believe in the enhanced power of very tiny doses of a substance is hard enough: the very suggestion of a negative dose would blow his mind. That is what homoeopathy proposes. Take a simple example. Sulphur is a well recognized poison with corrosive properties, that is used in medicine as a peeling agent on the skin. Over-use results in a parched, sore, dry red rash very like eczema. If now you ‘potentise’ sulphur according to homoeopathic principles you can make from it a medicine which will act powerfully against the rash caused by over-use or accidental consumption of sulphur and it will be a remedy for eczema. Potentisation is actually very simple. The original substance is steeped in a mixture of alcohol and water to produce an original concentration. A portion of that is then diluted, usually in a hundred parts of alcohol-water, and shaken. That gives a potency of 100, or 1c; diluting only ten times gives potency 10, or d. If you repeatedly dilute the solution in the same way, increasing its potency 1c each time, you eventually reach the point where no substance at all is left in the solution — at or above potency 12c. Each successive dilution is then intensifying the medicinal effect of the solution, but in the opposite direction to the original substance. This principle has many implications. Firstly, the only way to research it is by trials or ‘provings’ on healthy human beings, so that dangerous or ethically offensive research is unnecessary. Homoeopathy thus appeals to vegetarians and anyone else opposed to the abuse of animal life. Secondly, homoeopathic treatment is not based on the disease entities set out in medical textbooks but on symptom pictures, which are highly individual reflections of each different person. Remedies must be carefully matched to the user and cannot be broadcast as pain relieving drugs are. Even so, self-experiment is not dangerous provided you keep to low potencies and there are several useful publications that will help you search intelligently. Once you have discovered the remedies that help you, they always will — provided you set about taking doses in an appropriate way. Tissue salts are a special series of homoeopathic remedies based only on the mineral salts found in normal body fluids. They were devised by Schuessler some twenty years after Hahnemann and have never been an integral part of homoeopathy as they really ought to be. They are ideal for self-medication since the potencies are low and the remedies few. Manufacturers have mixed them in formulations for specific symptoms, which takes them away from homoeopathy but makes choosing easier. 1. Obtain Homoeopathy for the Family from the Homoeopathic Development Foundation (19a Cavendish Square, London), or Weleda (UK) Ltd. (Heanor Road,Ilkeston, Derbyshire) who manufacture a wide range of remedies and distribute helpful literature. 2. Stick to potency 6c to begin with; do not go beyond 30c without some kindof professional advice. 3. When taking doses of any kind — drops, powders or tablets — remember that it is not the substance of the dose that counts but a force locked up in it, rather like the genie in Aladdin’s lamp. The manufacturer has taken a lot of trouble to get the energy there, but you could very easily waste all that byhandling the tablet with your own flesh, or on a dirty spoon. Throw away any tablets you drop — they are useless. The first contact should be with your tongue, so that the force released can enter your system along the same route as your appreciation of good food: it is the same force. 4. Avoid taking a dose just before or soon after any food or drink, to avoid contamination of their effects. If the flavour of strong herbs or spices is still on your breath, get rid of it before taking anything homoeopathic. Garlic and coffee in particular will overwhelm the dose and make it useless. 5. If you are taking steroid medications in any form — tablets, inhalers,lotions, creams or ointments — homoeopathy will not work. There will be adelay of weeks before your system recovers sufficiently after externalapplications or inhalations, months after tablets. 6. The aim of treatment is just exactly to correct your body blueprint and then let it take care of your body and your symptoms. This may only require a single dose, or perhaps a short series of instalments over one to five days. You then need to wait for up to a week (sometimes much longer) before you can say there has or has not been any effect — it takes time to work through. Do not imagine they will work as promptly as drugs do — their basis of action is quite different. 7. We often suggest simple remedies you can safely try in particular situations. With the exception of immunising doses, these suggestions are only starting-points; they may not match your personal symptom picture exactly enough to help you. If they do not, consider getting some professional help. Advertisements are unreliable: go by local reputation, or else approach the British Homoeopathic Association (27a Devonshire Street, London W1N 1RJ) and the Society of Homoeopaths (47 Canada Grove, Bognor Regis, West Sussex PO21 1DW) for names of members in your area. The former only lists medically qualified homoeopaths, who are few and far between; the latter keep track of graduates from well established non-medical schools of homoeopathy. 8. There is a danger that homoeopathy will completely enthral you and you will begin treating every little mood or up and down in life. If your medicine chest gets beyond about twenty items, you are well on your way to this minor malady. Remember that many symptoms are really appetites that simply call for different behaviour to sort them out — maybe rest, a meal, a change of activity or a serious talk with someone. Never doctor life — just live it! 9. Tissue salts are readily available across the counter at wholefood and health shops.